Adrienne Fiumenero uses technology to help CRMS students understand concepts and to communicate with others. She is the school’s Educational Services Professional of the Year (Krystal Nurse/The Sun). 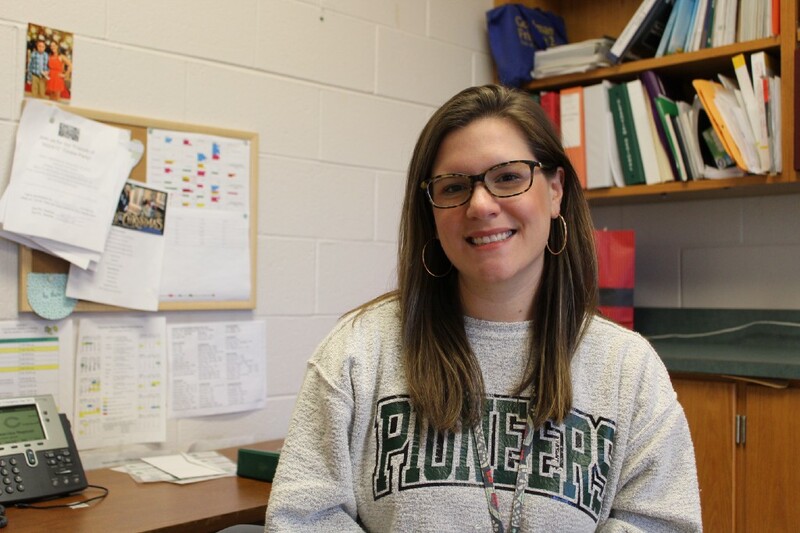 Editor’s note: This story is part two of four profiling the employees in the Clearview Regional School District who were given the Teacher or Educational Specialist of the Year distinctions. Adrienne Fiumenero discovered her love to study and learn linguistics while she was studying for her education degree. Since then, she’s been able to help students of all abilities speak and articulate their thoughts at Clearview Regional Middle School. In December, Fiumenero, a speech-language specialist, was named Educational Services Professional of the Year by several administration members, the principal and superintendent. 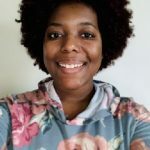 While she was in pursuit of an undergraduate education degree from the University of Delaware, Fiumenero took a linguistics course and the class contained instruction on languages, the history of them and science behind language development, which she grew to love. “I came across speech language pathology, and the University of Delaware, at the time, didn’t have a program, so I majored in psychology and minored in linguistics,” said Fiumenero. She went on to get her master’s degree at the University of North Carolina — Greensboro in 2013 and worked with geriatric patients for long-term care and short-term rehab, but felt the need for something else, which placed her at Clearview in 2016. She and other specialists at the middle school work with Augmented and Alternative Communication for nonverbal students and assist others who may have articulation issues — pronouncing R’s, S’s and Th’s clearly, among others. She helps in the district’s self-contained program in which students with “significant special needs” will have a place where they can build their academic and independent living skills. In some of those students who cannot speak, Fiumenero utilizes technology with an iPad, a speech-generating app and a Bluetooth switch pad to make selections based on what they’re trying to say. Fiumenero said she will sometimes have to tweak the way she teaches concepts to students to make it easier for them to understand. Outside of her office, Fiumenero interacts with other students through “Pioneer Partners,” a club she helps run where general education students build authentic friendships with those who have special needs. In December, they decorated sugar cookies together, and Fiumenero said the students will often interact with one another freely. A struggle she has encountered in her career, she said, was getting students to understand the “why” of everything, such as expressing thoughts clearly, how you interpret others’ and the educational aspect of language. “A lot of it is that education piece really explaining to people why it’s important and all of the things that I do,” she said. While she’s been in the district for nearly three years, Fiumenero said she hasn’t seen any of her previous students graduate high school, but loves having the ability to collaborate well with others in the district’s special education department to ensure a smooth transition for students.